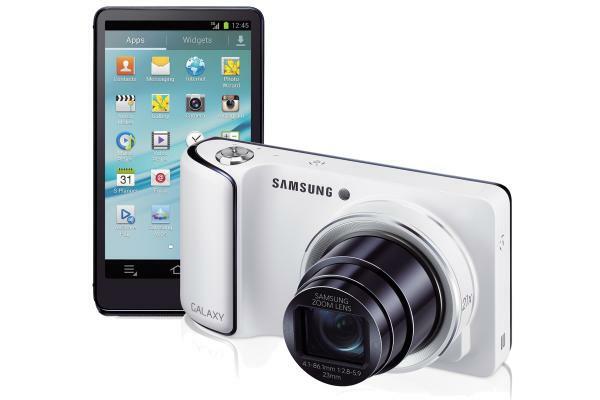 If we had to choose the most amazing gadget this year 2012 the Samsung Galaxy Camera undoubtedly be among the finalists. And is that this camera is anything but a compact camera heap. In a time when this segment, the compact camera, is in the doldrums, the Koreans have chosen to create a truly surprising. Increased competition to a compact camera is a camera phone. At this point, many users have begun to question that need a small camera when your mobile phone is capable of taking images of increasingly better quality. And the cameras are slow: since photo you teach until the process is over. You have to get home, connect the camera to your computer to download the photos and then upload them to a social network or send them by email. Yet with a mobile can be on the screens of others in seconds. And all this without a mobile that you can download a lot of applications for photo fun. 's Most popular, like Instagram , to customize photos with different filters and share them at the time in their own network or Facebook or Twitter . Faced with this problem, manufacturers have tried to give several different answers. Some have opted for cheaper cameras to the extreme, while others are equipped with WiFi and GPS. Other manufacturers have simply lost the sector, and have begun to focus on high-end cameras or other products. So the overall solution of the Samsung Galaxy Camera is so important. And this solution is simply to take the best of each of the options. On one hand, put the most important elements of a compact camera: good optics and a good sensor. Furthermore, adding the benefits of a mobile camera: Android operating system to install applications, and Internet WiFi and 3G . Solved: good quality photos, customize applications and networks for sharing. 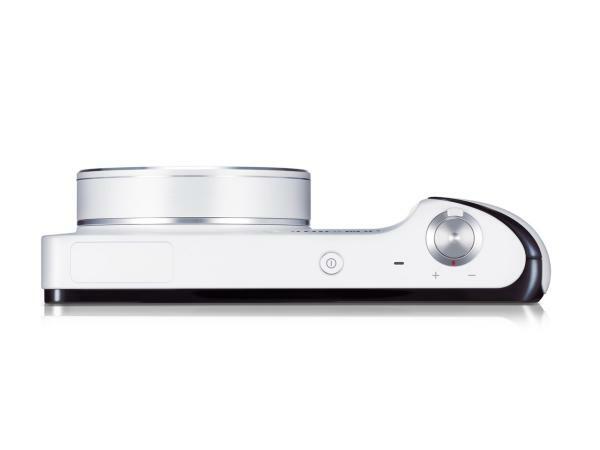 The Galaxy Camera features a 16 megapixel sensor that achieves a maximum resolution of 4608 x 3456 pixels. Magapíxeles The number is still a reference for many consumers when buying a camera. However, it has long ceased to be a really important figure for the cameras. And is that beyond a certain number, the only thing you get with more megapixels is taking up more space on the memory card with the photo. To get an idea, with a photo of the Galaxy Camera in full resolution (4.608 x 3456 pixels) can print a photo is much larger than that usually occupy the albums. Printing to a high quality (300 dots per inch) would get an image 41.5 x 29.2 cm. With a slightly lower quality image would be even much bigger. Unless pretend paper the walls of our house with photos, size is more than enough. In terms of sensitivity, Gaxy Camera can reach a value of ISO 3200. This is an advantage when taking pictures in low light, in complicated environments such as indoors or sunsets. Moreover, the evidence we have seen noise control is quite accomplished, especially at intermediate values ​​as ISO 800 and ISO 1600. 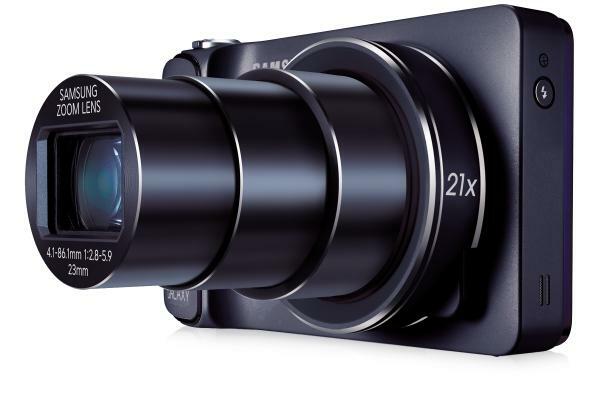 The Galaxy Camera zoom lens has a magnification of 21, which is equivalent to a traditional photograph 23-481 mm lens. This is one of the most obvious advantages of a compact camera on a mobile camera. In addition, a target of 21 increases is pretty much what you usually offer a traditional compact. With this lens can look really distant details for our photos, and play with the effects provided by the use of telephoto lenses. With a mobile camera zooming is actually cut the image digitally, and that do not have a lens system. The result is images pixelated and of poor quality. A traditional and lens on this camera is brighter, and allows to go much further without losing image quality. But let the special touches that make this camera. At the end of the day, a 16-megapixel sensor and a zoom lens is something that we see in many models in the market. Striking thing about the Galaxy Camera comes when we turn. In the back we find a touch screen of 4.8 inches diagonally. It has a resolution of 1280 x 720 HD, giving a density of 308 dots per inch. Values ​​are at the height of a high-end mobile phone like Samsung Galaxy S3 . And that's the key to this model: a camera in front and behind a smartphone , just can not (at least initially) phone. 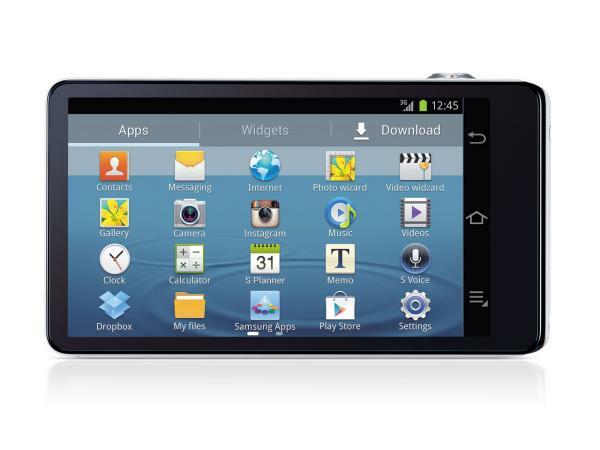 The camera has the latest version of Google's operating system: Android 4.1 jelly bean. This opens the door to the Google app store Play. This way, you can download the most used applications in the world, or not have to do with photography. Although the camera is a display technology, pioneered really only one thing: be the first camera to feature 3G/4G connection. Many cameras now have Internet access through WiFi networks, but this is the first that can connect anywhere. The main advantage of this is you get to share the photos anytime, anywhere, either through social networks or email. This is the main advantage of a mobile phone on a traditional camera, and definitely the detail that catches the attention of the Samsung Galaxy Camera. The WiFi connection also gives very interesting features. It is the natural gateway applications, and that few users that downloaded via 3G., Rates are expensive and limited. Moreover, this connection also allows download photos to a computer wirelessly. But the most fun features come together in a mobile phone. Connecting it to the camera via WiFi, you can use the phone as a remote trigger, or as a second display when recording a video. 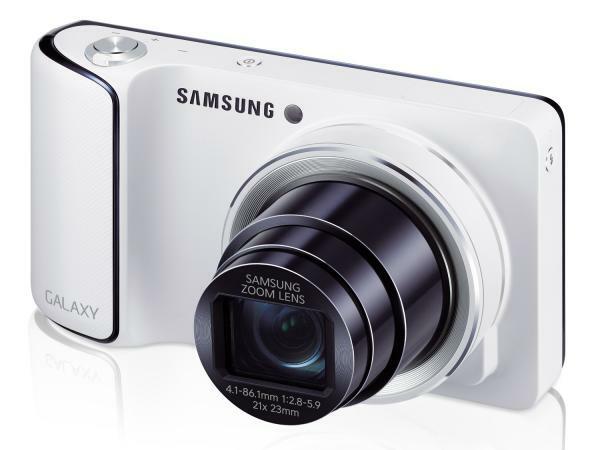 The Samsung Galaxy Camera has a battery of 1,650 milliamps, which provides a range of 280 hours standby. However, has a 4.8 inch screen and wireless Internet connections, two functions that use a lot of battery. Autonomy with actual use of the device will be much lower than this figure.